Dr David Ende is Sydney’s leading specialist urologist with special interests in bladder issues, kidney stone disease, bladder cancer, prostate cancer and prostate enlargement. 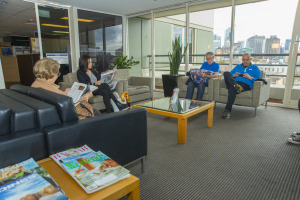 Dr Ende’s patient model care is to ensure he fully understands your particular condition and provide an approach and treatment that is customised for you, and best suited to your needs and lifestyle. To book a consultation, call St. Vincent's (02) 8382 6976 or Blacktown (02) 9831 5696.